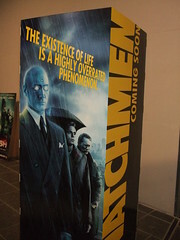 We went to see 'Watchmen '. Thought it was great. Sophisticated, complex, shades of grey, and true to source material.